What it is : A featherweight eye shadow formula that instantly lights up eyes with a combination of shimmering pearls and fine sparkle. This once-limited edition fan-favorite is now a permanent part of Bobbi's line thanks to its crease-free, long-lasting wear and creamy-soft powder feel. Who it's for : The woman who wants a touch of sheer sparkle on her eyes. Why it's different : Uniquely flat-shaped pearls impart a multi-dimensional, prismatic effect (this sparkle packs real punch). Featuring an incredibly wearable range of bright to soft shades, Bobbi handpicked each color to complement every skin tone, day and night. Explore the entire range of Eye Shadow available on Nykaa. Shop more Bobbi Brown products here.You can browse through the complete world of Bobbi Brown Eye Shadow. 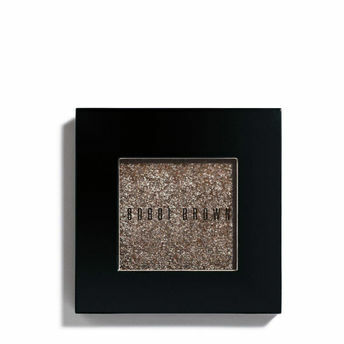 Alternatively, you can also find many more products from the Bobbi Brown Sparkle Eye Shadow range. Explore the entire range of Eye Shadow available on Nykaa. Shop more Bobbi Brown products here.You can browse through the complete world of Bobbi Brown Eye Shadow .Alternatively, you can also find many more products from the Bobbi Brown Sparkle Eye Shadow range.